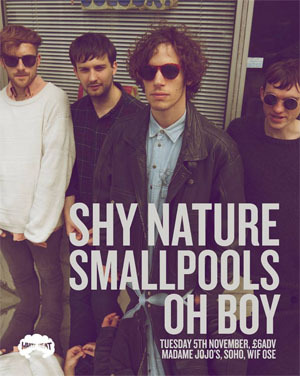 Very excited to announce Locals SHY NATURE as headliner. Think anthemic, bold indie that manages to stay well away from the 'landfil'l tag that such a description might suggest. Catch them in our intimate surroundings because they're destined for bigger things, having released a string of critically acclaimed singles in the last six months.